If, at any time, you need additional equipment due to employee growth or have specific needs for you unique workforce, we can meet your needs and do whatever it takes to get the right selections to the right place at the right time. 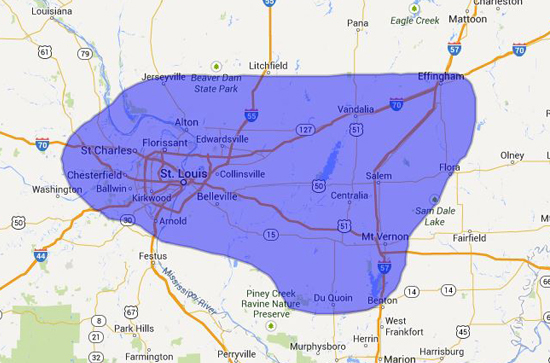 St. Louis City, St. Peter’s, O’Fallon, Arnold, Chesterfield, Fenton, Hazelwood, Florissant, Clayton, St. Charles. Fairview Heights, Collinsville, Bellville, Edwardsville, Mount Vernon, Nashville, Centralia, Salam, Flora, Effingham. To discuss the perfect option for your office, call us at (314) 895-1685 or send an email to an account manager at info@dynamicvending.com.